The 2016 Democratic presidential candidate weighed in on “Medicare for All” and the need for female leaders in a surprise sit-down with CNN’s Fareed Zakaria at Tina Brown’s Women in the World summit. Though Hillary Clinton is no stranger to Tina Brown’s Women in the World Summit — she’s headlined a number of past conferences, including in 2017, when she made her first public appearance after losing the 2016 election — the audience at the 10th edition of the event in New York City was delightfully surprised to learn Friday that the former Democratic presidential candidate would be this year’s surprise drop-in guest. Clinton was greeted with a standing ovation, and once the applause settled down, CNN’s Fareed Zakaria jumped into questions about Bernie Sanders’ Medicare for All plan, the Mueller Report and more. But, first, Zakaria pointed out that on this very day in 2015, Clinton announced her second presidential bid. 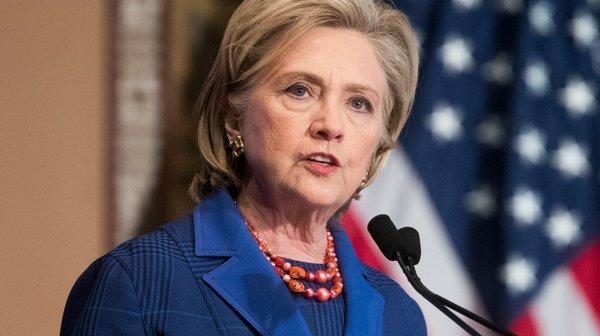 Clinton also praised Jacinda Ardern, the New Zealand prime minister who gained notoriety for her response to at least 50 people being killed in a mass shooting attack on two mosques in March. When Clinton’s former rival — running again for the Democratic presidential nomination in 2020 — Bernie Sanders’ recently announced Medicare for All plan was mentioned, Clinton launched into a passionate defense of the Affordable Care Act, though she did say she’s “all in favor of setting the goal” of universal health care for every single American. She ultimately urged Democrats to both defend the ACA and set bigger goals. “Of course!” Clinton responded, prompting roaring applause. Clinton’s appearance closed out the summit, which hosted speeches, interviews and panels with Oprah Winfrey, Anna Wintour, Brie Larson, Ashley Judd and more women leaders.